Turn meetings into walking meetings. You sit all day, so why not make meetings a walking meeting instead? Research has suggested that walking makes people more creative. Or, take a break and go for a walk during lunch with your peers. You’ll return to work feeling refreshed. Sneak-in extra steps when and where ever possible. 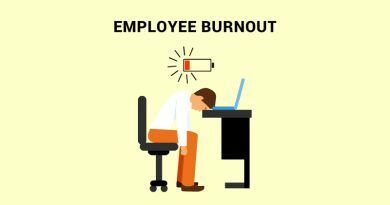 Park your car in the furthest parking spot from the office, ditch the elevator and take the stairs, and stop by a colleague’s desk from time to time instead of spending one more email. 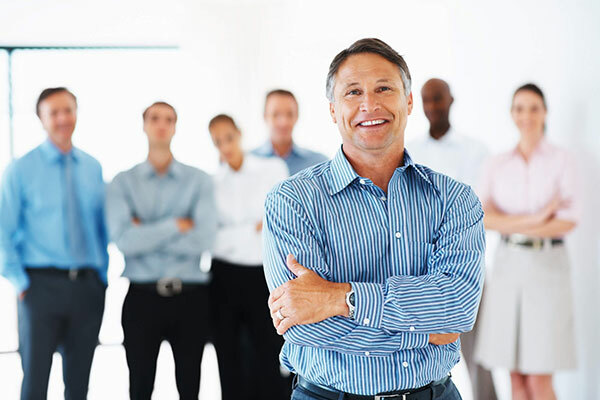 To get the best results out of your corporate wellness program, Get the perfect technology product that can help employees connected and self-manage their health & wellness goals – CircleCare App. CircleCare is a smartphone App that can help employees keep their health in check and keep a log, track steps, help take medication on time. CircleCare also connects employees to learn and share resources they need to make informed decisions. Set a “Healthy Snack Only!” policy for all shared food items brought to the office. If you have an onsite cafeteria, work with your onsite food service provider to ensure healthy food choices are available. Consider subsidizing employees healthy food choices. Stretch in your chair: point and flex your toes, do wrist circles, stretch your neck side to side, roll your shoulders forward and backward. Just a minute or two can help you reconnect with the way body is feeling and release some tension. Use your calendar to help you stay balanced, and schedule a few mini brakes each day. Take just a few minutes out of stand up, stretch your legs, get a glass of water, take a few deep breaths and get out of your chair! 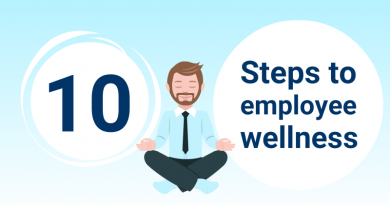 Do a set of stairs while you’re up or walk over to visit a colleague across the office. Have some fun and play sports with your colleagues: Organize an interdepartmental tournament, a tournament with a neighboring company or organize a team to play in a recreational sports league. Eg. Volleyball, baseball, football. Support an entry in a corporate team event or fundraiser such as a bicycle relay, a 5K run or a walk. Create teams to compare against each other to see who can raise more money. You’ll feel proud to support a good cause and become healthier in the process. Bring back water coolers to promote hydration (& increase social interaction between co-workers). Or provide filtered water or a water filtering jug for the refrigerator(s). Don’t forget to change the filters when required. 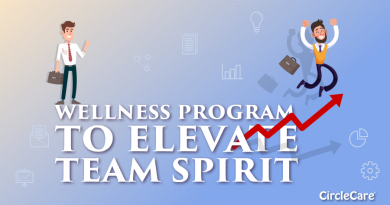 Corporate health and wellness solution provider like CircleCare equips organizations with tools to implement, manage, and operate wellness programs. 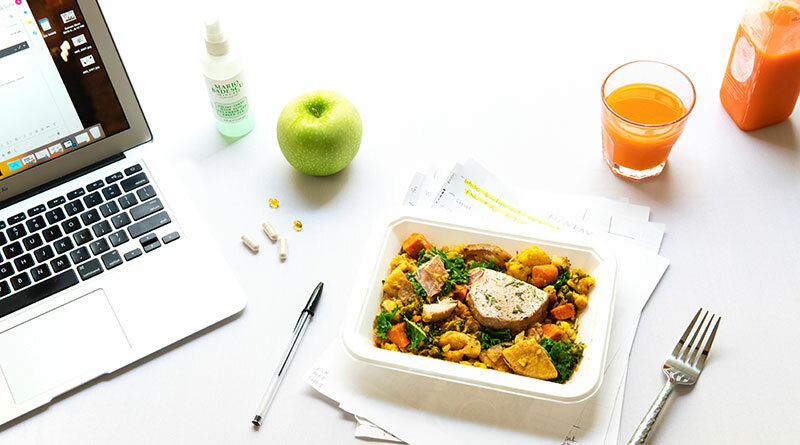 CircleCare provides companies with a platform and tools motivate their employees via positive reinforcements and rewards to establish and maintain healthy lifestyle choices. 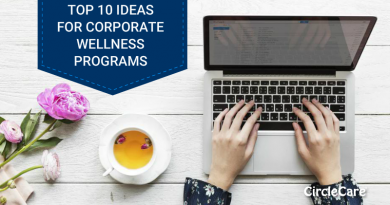 All company sizes, industries, and departments can benefit from corporate wellness solutions, as these tools aim to shift the work culture toward health while creating a social support system for employees.